I just very happily came across Zara.com's recently added street style section People! 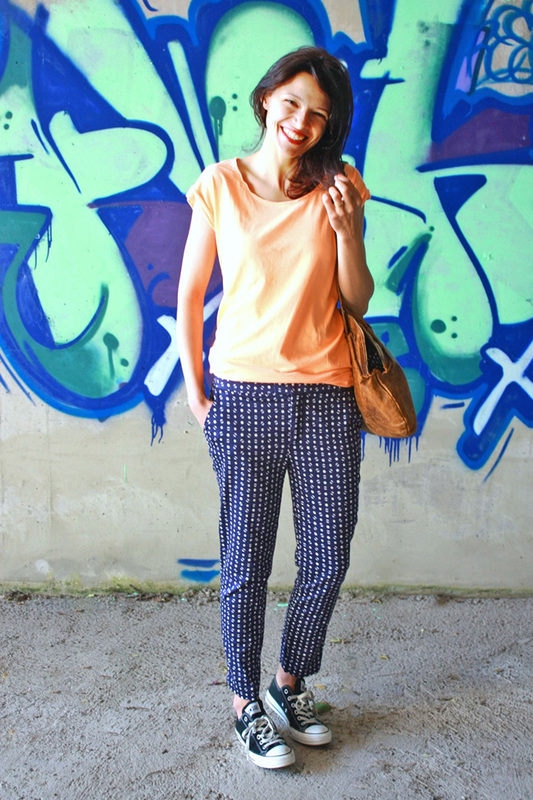 A very cool collection of customer submitted style shots featuring at least two of Zara's pieces. It's one of those great ideas that seem so obvious given the massive popularity of street style photography, that I am surprised we haven't seen more major brands trying this. 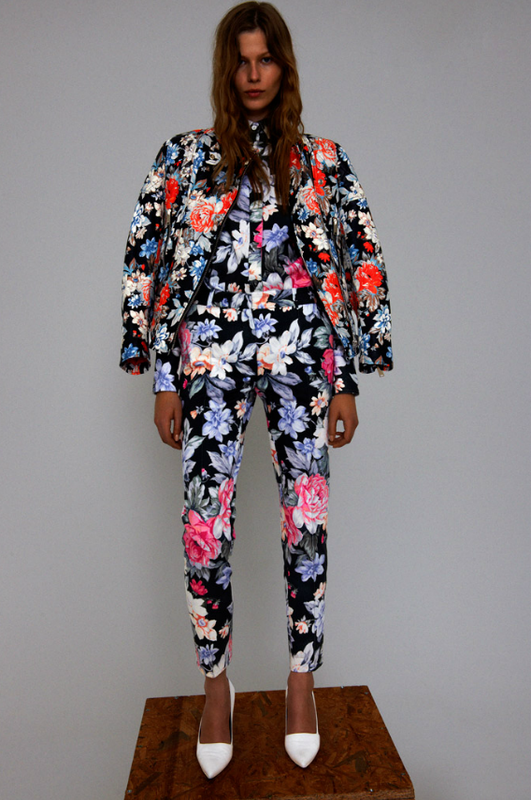 It is such a fantastic showcase of Zara's clothes and is far more engaging than your traditional lookbook/catalogue. The spring/summer photo collection is wrapped but I will definitely be checking back in a few months for the fall submissions. This photograph makes me think of the weekend, time off, taking a minute, enjoying the little things. It's a good look. Popsicle was the first thing that came to my mind when I saw this great summer ensemble, if only the bag was bright blue. 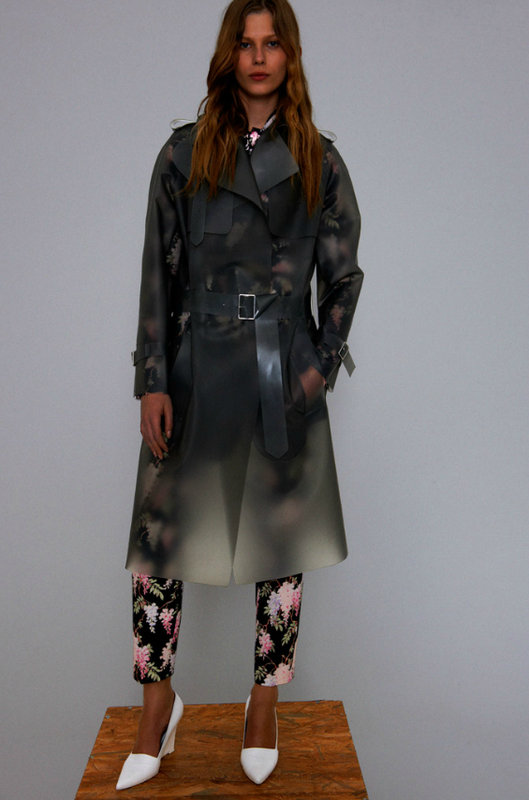 I was happy to see that Stella McCartney's 2012 resort line is bringing back the Hawaiian shirt. With all of the bright vivid prints we are seeing these days I am not too surprised this fun campy piece has made a return. 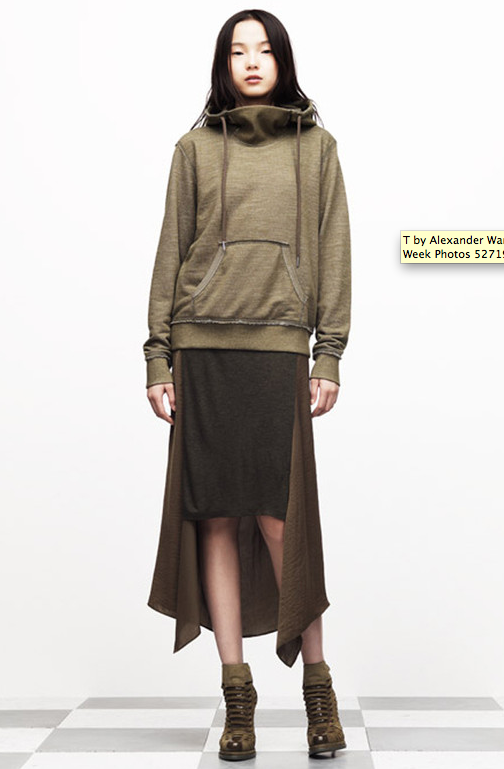 Alexander Wang's T collection for resort is full of fantastic pieces, but the sportswear is hands down my favorite. Those sweats!! Those zippers!! His affinity for subtle, edgy, modern detailing always blows me away. Resort wear was never a collection I gave much attention. I don't typically jet off to sunny beaches in the winter, so cruise attire during the colder months never really appealed to me. 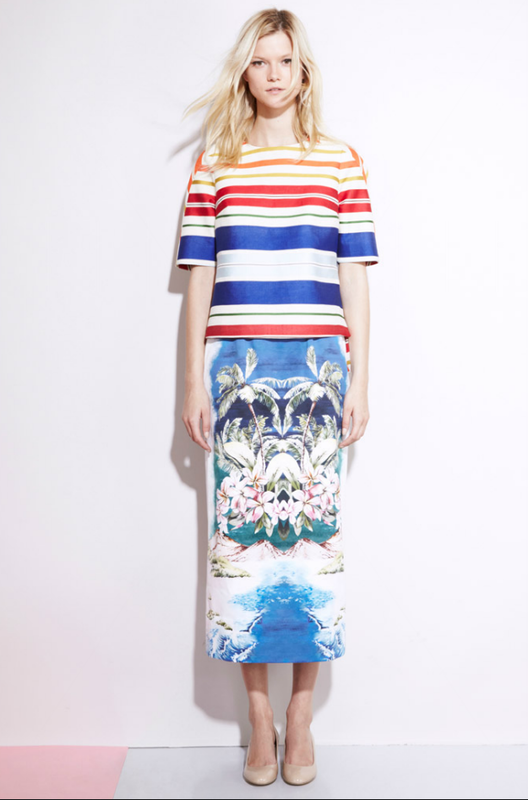 However, after perusing the 2012 resort shows, there is no doubt that what was once a collection aimed mostly at hot spot winter travelers, has evolved into a much more accessible, multi-seasonal line. The Wall Street Journal article "The Little Season that Could" credits this change to designers taking more of a notice to resort wear's large retail possibilities. It is of course the clothing line that remains in stores the longest (Late Oct-June). 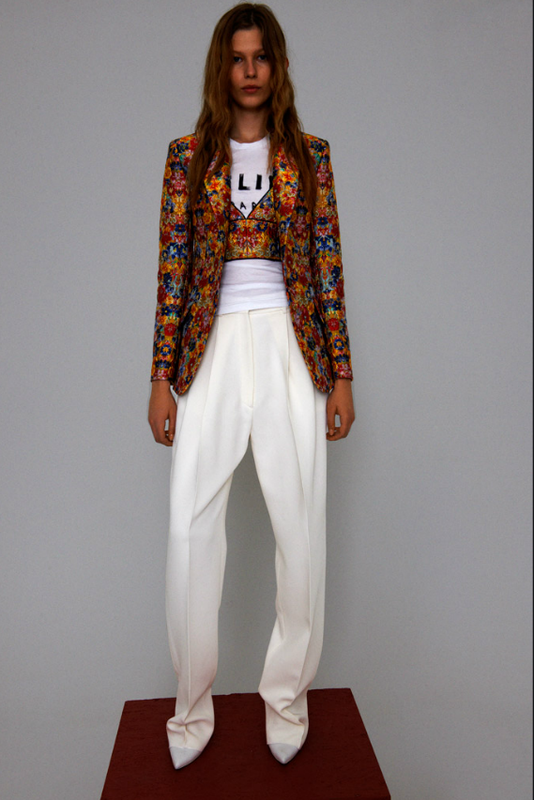 Resort is now being given more of a creative priority whilst still maintaining it's wearable and realistic roots. "A perfect fashion storm" they say. As opposed to just bathing suits and cruise wear, the collections now reflect options that will help brighten and change up a tired winter wardrobe and also provide transition pieces and hints for what's to come in spring. 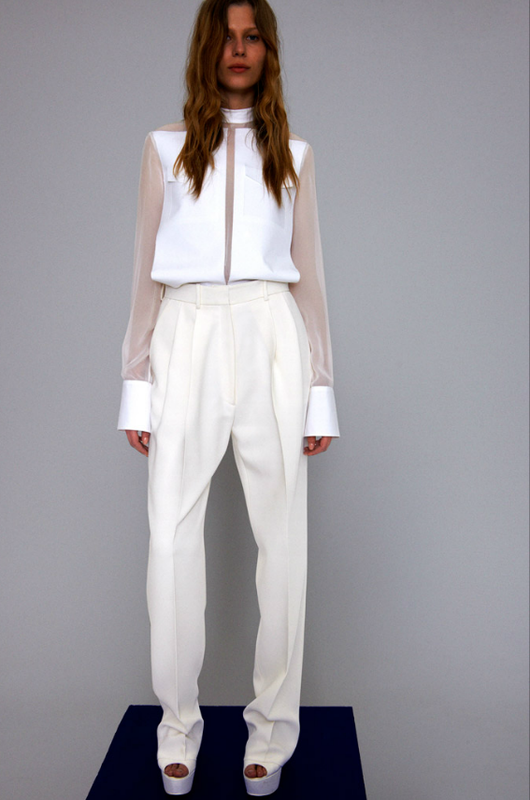 Céline's most recent show is a great example of how strong and creative resort wear collections are becoming. My jaw dropped when the I saw these photographs. The florals, to no surprise, I find fantastic. 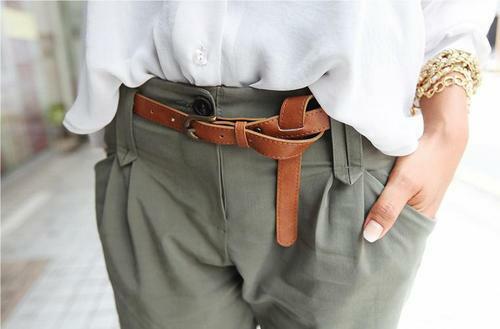 The love the layering of the long blouses over the pants as well as the skirt over the pants, no doubt a look I will be playing with come fall. The leather culottes are stellar and a cut that I have yet to see until now, and that techno trench couldn't be any cooler. I seriously could have posted every photo from her show, but I thought that might be overkill. You can however, check out the rest here. 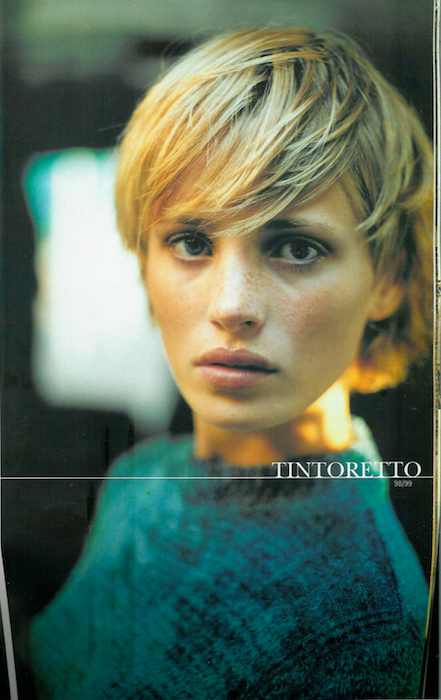 I am keeping this photo for my next short do. Might be a few years, but I think it will hold up. I am all over the bright colors these days. The tank and sweater are vintage, and such a great example of how you can score such vibrant pieces second hand. The wedges are Cynthia Vincent for Target and the bag is Miu Miu. A solid mix of a lot of low with a teeny bit of high.